Intense Carbine SL derailleur hanger 6061 T651, made with CNC technology. Black anodized. Lighter and more durable than the hanger series. Intense ACV derailleur hanger 6061 T651, made with CNC technology. Black anodized. Lighter and more durable than the hanger series. Intense G2 12mm x 142mm axle derailleur hanger 6061 T651, made with CNC technology. Black anodized. Lighter and more durable than the hanger series. Intense Spider Comp 29er 2012 derailleur hanger 6061 T651, made with CNC technology. Black anodized. Lighter and more durable than the hanger series. Intense Tracer 2009 derailleur hanger 6061 T651, made with CNC technology. Black anodized. Lighter and more durable than the hanger series. Intense Uzzi SL 2008 derailleur hanger 6061 T651, made with CNC technology. Black anodized. Lighter and more durable than the hanger series. 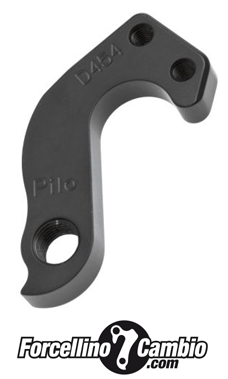 Intense VP 2011 derailleur hanger 6061 T651, made with CNC technology. Black anodized. Lighter and more durable than the hanger series. Intense VP 29 2011 derailleur hanger 6061 T651, made with CNC technology. Black anodized. Lighter and more durable than the hanger series.